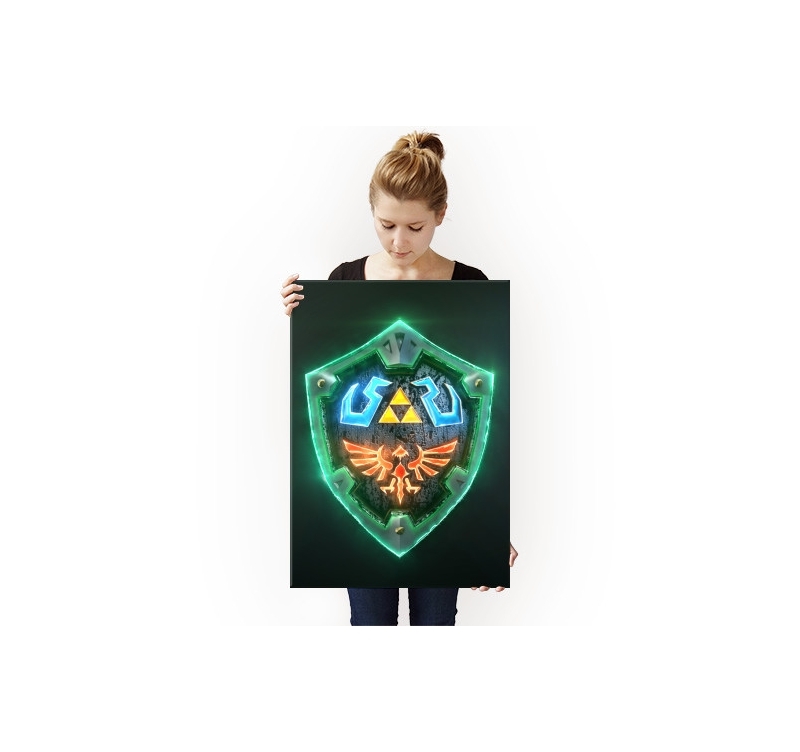 A colorful representation of the shield of Zelda's hero in a metal poster. 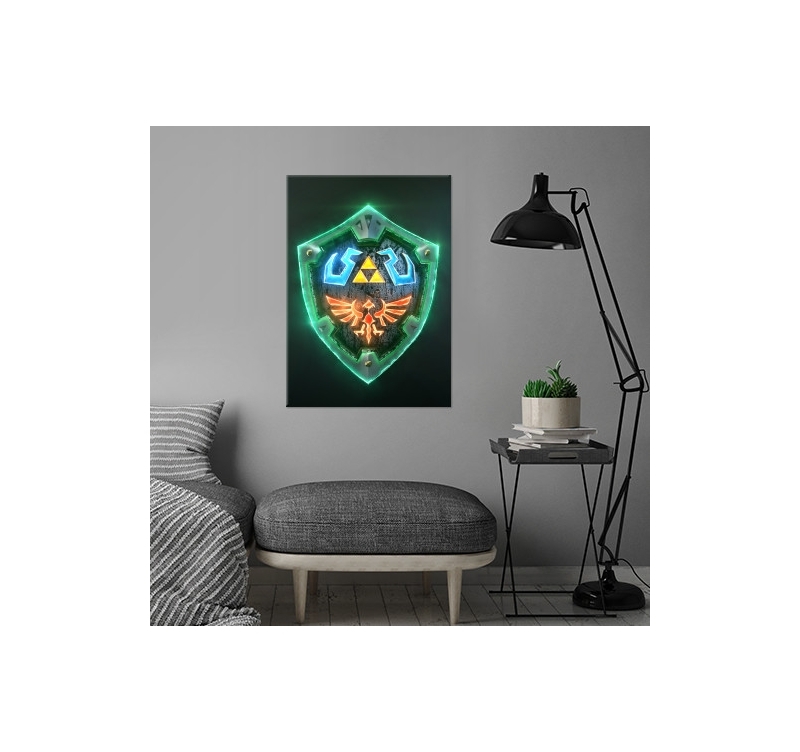 This Zelda metal poster comes with our magnetic hanging system. 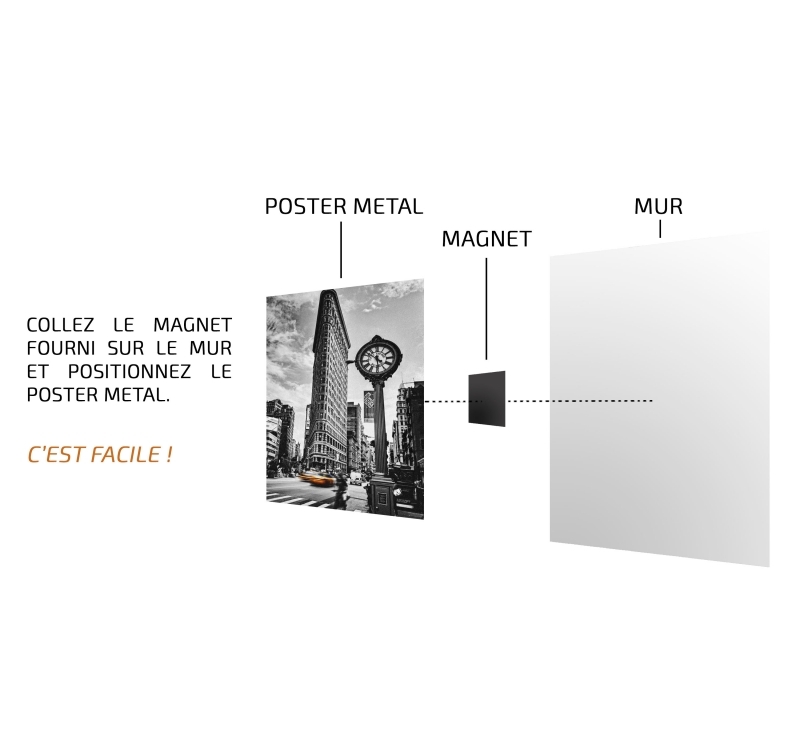 The dimensions of this Artwall and Co poster are 48 x 67.5 cm. What would be Link, the hero of the famous video game Zelda, without his shield ? 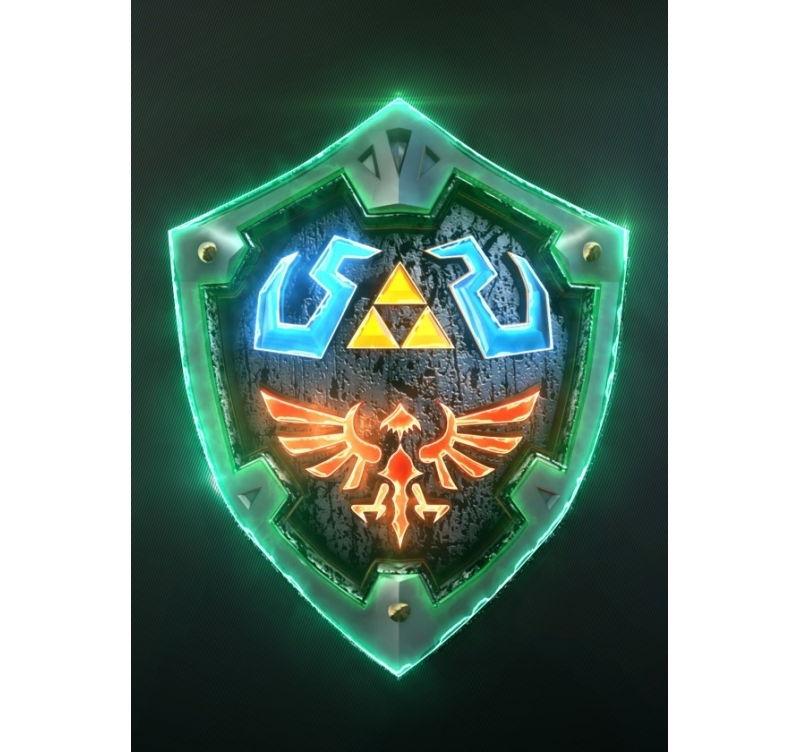 Here is a representation with the symbol of Link in the center made by our artists with a neon effect in original metal poster. Lovers of video games, this deco poster will sit perfectly in your home, it will give a touch of color to your interior decoration ! 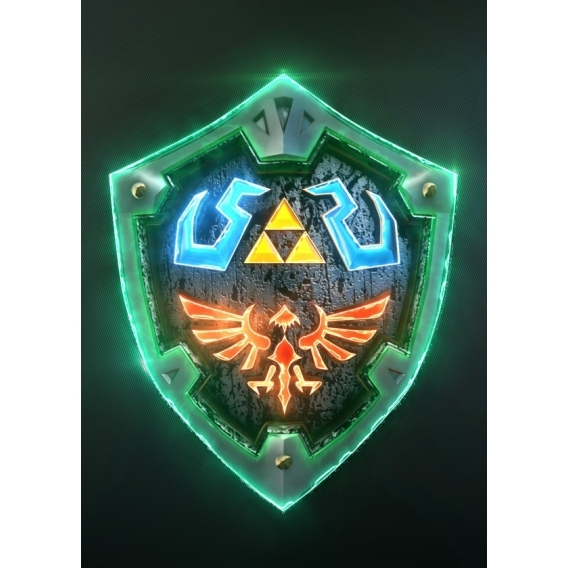 This metal poster will remind you of Link's adventures fighting against the evil lord and trying to save Princess Zelda. 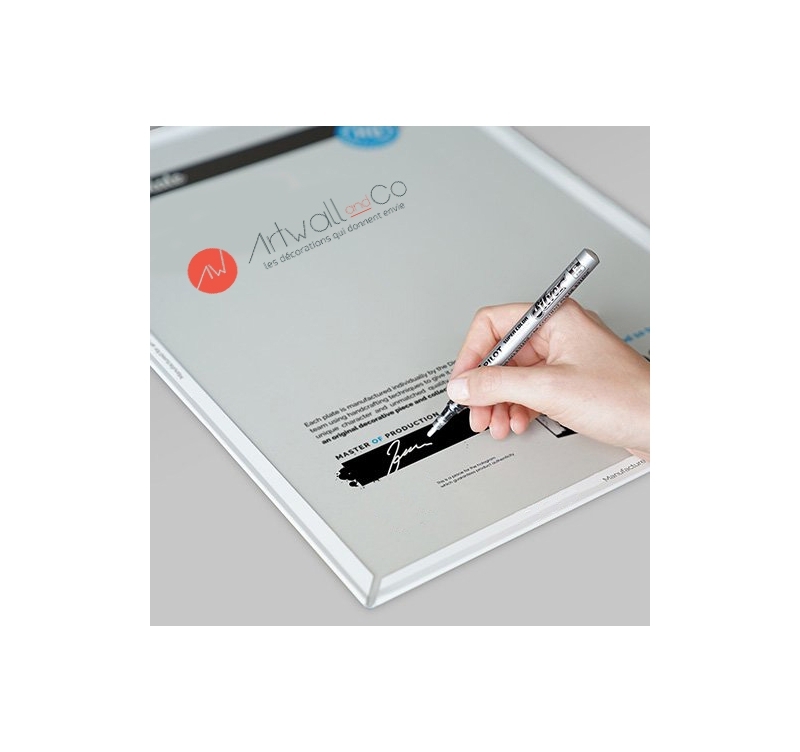 This unique piece has an authentication hologram on the back of the poster as well as the signature of the production manager. By ordering this collector's poster you directly support the artist who created it.